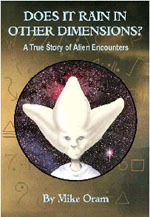 Books.UFO/Alien. Sites to Educate, Uplift and Amaze. Radio. Sites We Like. Looking Into The Dark Places. A cornucopia of articles and information to amaze, educate and challenge. The Black Vault. John Greenewald's brilliant site. "Since 1996, this site has become one of the internet's premier destinations for information/research on government secrets, top secret projects, history, and so much more." Jain Mathemagics. Discover the mysteries of Vedic Mathematics, Sacred Geometry, Magic Squares and the Golden Mean. Dark Star Theory. Andy Lloyd's website has been an online resource for truthseekers for many years. It contains a collection of essays and articles exploring the possibility of an additional, massive planet in our solar system. The Insider. Reporting the latest news and analysing the most important and most serious legitimate conspiracy theories. Project Camelot. Amazingly informative site with video interviews, audio interviews, interview transcripts and other information on what is happening on our planet. In their own words: "Our purpose is to provide a vehicle for researchers and 'whistleblowers' to get their stories out."